Apache Stronghold stop at Oakflat to say prayers for journey to Northern California. Photo by Steve Pavey on June 6th. Elem Colony photo taken last week which shows the open pit Mercury mine, the light blue water, which has contaminated the area, Elem Colony on the bank of Clear Lake and across the lake, Clearlake Oaks, California. Photo by Wendsler Nosie Sr.
Amid the Poor People’s Campaign, A National Call for Moral Revival that is uniting tens of thousands of people across this country to challenge the evils of systemic racism, poverty, the war economy, ecological devastation and the nation’s distorted morality, comes a fight that has been long suppressed since the beginning of America. Native American people and all the issues that affect them including oppression, the laws of Congress which control their lives and the history of their lifeways here in America and the atrocities they have lived through, have been silenced for many years. With reviving of the Poor People’s Campaign, out of it comes a struggle to bring the consciousness of America to the reality that “We need to save what is left”, the fight that Native Americans throughout this country have fought for centuries. 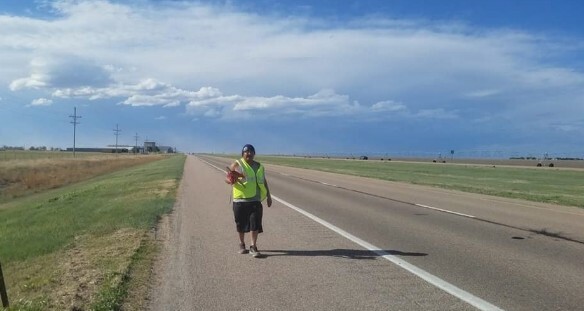 A caravan led by Apache Stronghold leader Wendsler Nosie Sr. will be crossing the United States bringing awareness of American Native issues along with those issues which deal with colonization and oppression of all people of America. This caravan begins on the west coast of America in Northern California beginning at the Pomo nation, Elem colony, Clearlake Oaks, California. The caravan will cross the nation and end on June 23 in Washington DC to have a platform with the Poor People‘s campaign Global Day of Solidarity and Sending Forth Call to Action, Mass Rally in Washington, D.C.
A description of Elem states that Elem Colony, home to the Pomo of Northern California was once an area of spiritual significance, but today it is a toxic dump. 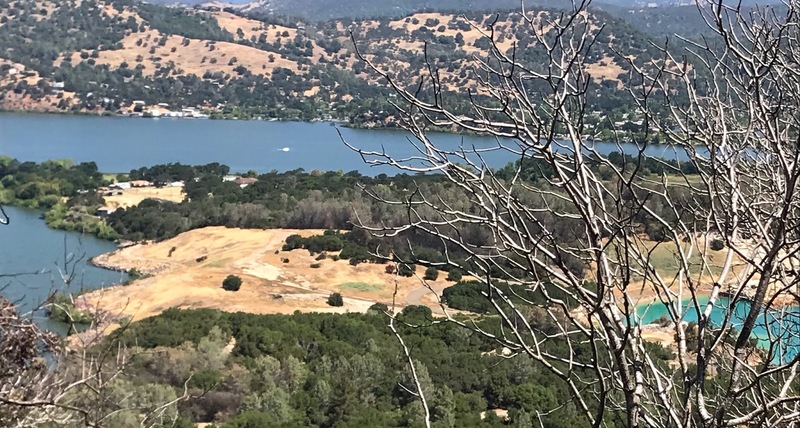 For more than a century, an abandoned mine named Sulphur Bank has leached tons of mercury into Clear Lake and poisoned not only the food chain and the fish the tribe traditionally relied on, but possibly the people, too. Abandoned mines release a host of toxins, including arsenic, asbestos, lead and other chemicals. But mercury is the most insidious, accumulating in fish that become hazardous to eat. The mining for mercury took their reservation and their island and the area that they lived in, contaminated it and left what the colony is today. The Stronghold Caravan will begin with a ceremony at Elem with a big head dance, a dance that depicts the vision, future, people looking to glamour and glory and beauty as opposed to the reality of survival and protection of the people. The Bighead Ceremony is the embodiment of the Caravan‘s purpose depicts ceremonies regarding protection ways that are similar to many Native American religions. These ways are being renewed by the youth of this generation to continue with what we have left. This is the beginning of the Caravans path to Washington D.C. which leaves Elem on Sunday June 10th. My heart goes out to you. I had close family friends in Clear Lake Oaks when I was a boy some 65 years ago. And in 1968 I drove a large truck each day to deliver the structures pre-built in Maryland to the Reflecting Pool where they were assembled for those who participated in the Poor People's Campaign in DC. I wish you all the best and hope people in DC get the message of PPC when you arrive. We need to recreate the mindset that led to the first PPC. All the best to each of you!